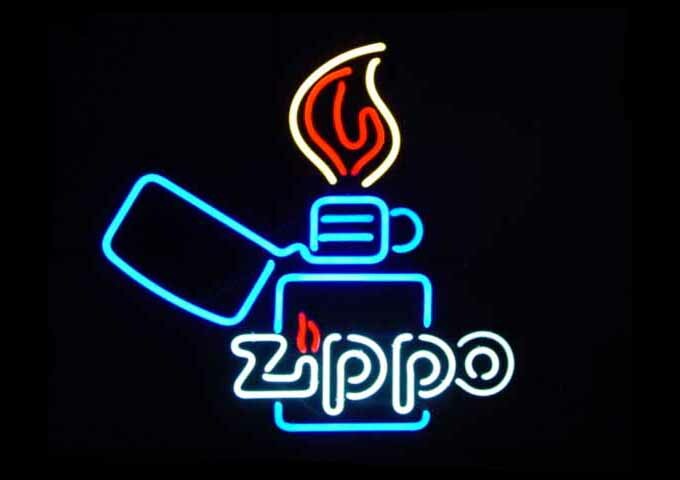 and given to Official German Zippo Dealer Stores only. Manufactured by ANS - American Neons in Muenster, Germany. The Neon Display lights up in four colors: blue, white, red & yellow. It is about 24 inches high and 25 inches wide.